Beautiful lips can enhance your look like no other feature can and our lip filler and contouring treatments available in London at Melior Clinics can enhance the natural beauty of your lips, whether you’re looking for lip fillers in London or anywhere else in the UK. The lip enhancement treatments that we offer are performed using hyaluronic based products, which aim to restore lip fullness and definition. Most patients find that their lips not only appear more attractive, they also feel healthier, softer and more hydrated. 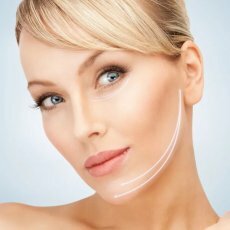 If you are not happy with the natural size and shape of your lips or the fact that the ageing process has caused them to become thin with a lack of definition, our Harley Street lip fillers can be the perfect solution. Safe, natural and painless, our treatments can help to create the lips you have always wanted and combat fine smokers’ lines, issues including lack of volume, wrinkles, smile lines, cupids bows, lowered corners and oral commissures. As well as aiming to reduce the appearance of fine lines and wrinkles, our lip enhancement treatments can also enhance the effect of lipstick and minimise ‘lipstick bleed’ which sometimes occurs at the lip border. The ‘Cupid’s Bow’, which is the V-shaped area of your upper lip, can often cause lipstick to bleed down the vertical wrinkles, thereby losing line definition and actually accentuating the appearance of blemishes and wrinkles around the top of the mouth. As lips are so sensitive, our experienced cosmetic treatment practitioners will administer a local anaesthetic prior to treatment to ensure that the area is numb and the treatment can be administered without pain and with minimal swelling. 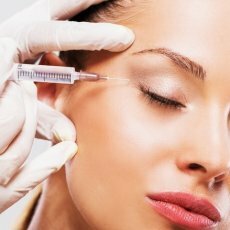 Lip fillers from Harley Street are then very carefully injected into the designated area with the aim of giving you natural-looking volumous lips. HOW LONG WILL THE LIP ENHANCEMENT TREATMENT TAKE? The whole lip enhancement procedure should take no more than 30 minutes and most patients find that they can go about their daily business almost immediately afterwards. After your lip enhancement treatment, you may experience some bruising, swelling and tenderness which can last between 6 and 10 days. You should then be left with naturally more volumous lips. 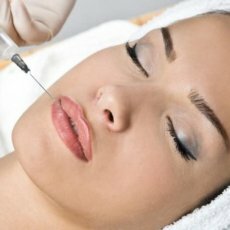 We offer lip enhancement treatments in London at our Harley Street clinic and at our Richmond clinic. We also offer lip enhancement in Reading, Hove, Cambridge as well as lip enhancements in Sevenoaks and our Peterborough clinic too. 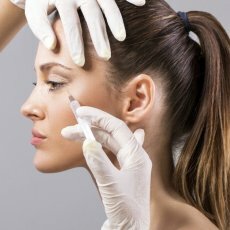 While we’ve provided you with some information on how lip filler and lip enhancement treatments in London work and how they can benefit you, if you want to find out more we highly recommend contacting us where we can discuss your enquiry further. You can easily contact a friendly member of the team by completing our online contact form located at the bottom of this page, by calling us on 0330 024 1300, or alternatively we can arrange time for a face-to-face discussion about how you can achieve fuller lips with more definition. All that you need to do is book an appointment and one of our qualified doctors will provide you with a free no obligation consultation, during which we can create a personalised treatment plan to help you achieve the luscious lips that you’ve always wanted.